The Tales series often doesn't get the same recognition as big-name JRPGs like Final Fantasy, and that's a shame. It's a consistently quality franchise that has been delivering year after year, but one of the problems with it is that some of the titles are a bit harder to find. Whereas Square releases port after port of Final Fantasy, making it easier to acquire older games, Namco doesn't tend to re-release Tales games often in the West, leaving them a little harder to track down on older consoles. Thankfully they've wised up for Tales of Symphonia Chronicles, which delivers one of the best games in the entire series on PS3. Oh, and the sequel is in there as well. Symphonia is one of the most critically acclaimed games in the Tales franchise for a reason -- it's a damn good RPG. Here in the Chronicles package on the PS3, you'll get remastered visuals, dual audio, and a few minor content extras (like new Mystic Artes, costumes, attacks, and a few extra skits, so nothing major). This isn't just an upscale, as most assets were overhauled and there are some all-new illustrations in tow. It's not going to look as good as the recently released Tales of Xillia or most of the recent JRPGs currently on the market, but fans of the genre should be able to cope just fine. 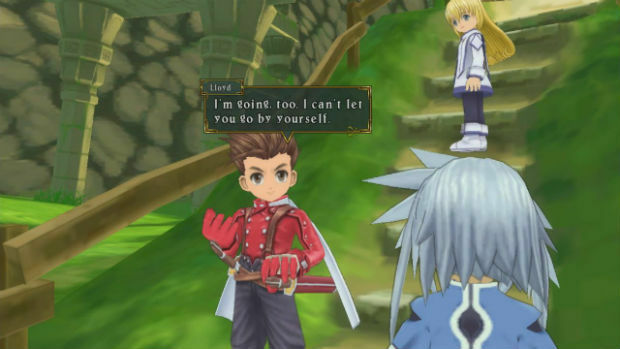 Symphonia offers up essentially everything you could want from an RPG experience, from a colorful cast, to an overworld you actually want to explore, to an engaging battle system. Lloyd Irving is also one of my personal favorite genre protagonists, and he's a general fan favorite for a reason: he is likable, fun to watch, and most of all -- he has flaws, and feels human. The narrative is very reminiscent of the "Crystal" Final Fantasy games (or most recently, Bravely Default), and just as charming. Lloyd and his party must assist Colette Brunel, a savior of sorts, in regenerating the world and unsealing its five temples. From there the story takes off with a series of twists and turns (and interesting player choices) I won't spoil here, but suffice to say it's worth the ride. Characters interact with each other by way of skits and numerous dialog sessions, and genuinely feel interconnected with one another, rather than an isolated collection of fighters. 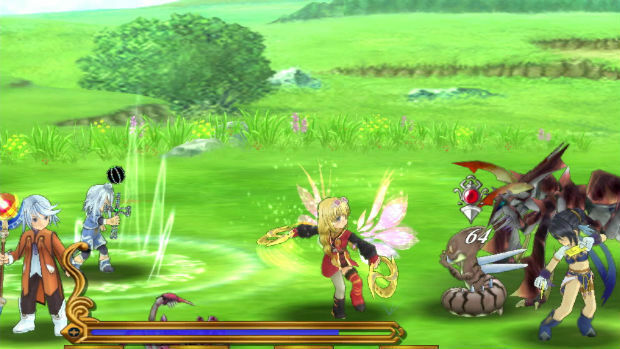 The battle system is in real time, and in Tales fashion, operates similarly to an action-JRPG hybrid. From a party of four, one member is controlled by the player, and the other by the game's AI component. Thankfully, you can set up parameters for said AI to act before combat, and they actually stick to the plan more often than not. It's all relatively simple but fun, and after dealing a certain amount of damage you can spring "Unison Attacks," which involve the entire party. Skills work by way of "EX Gems," which allow you to equip abilities similar to Final Fantasy VII's materia. Standard stuff, yes, but it all works. As good as this sounds just don't expect anything revolutionary from Symphonia. 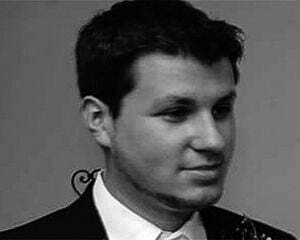 Most of your time is going to be spent in a typical RPG manner, watching the story unfold by way of cutscenes, or in dungeons fighting off monsters. Symphonia is a meaty game overall, with 40 hours worth of content at minimum, and around 100 if you do everything (and you probably will, since the game draws you in so well). The second piece of the Chronicles package, Dawn of the New World (released for the Wii in 2008) is a tad shorter, and sadly, not as essential. To be blunt, the majority of New World is forgettable. Lloyd and his companions take a backseat in favor of an updated cast, lead by newcomers Emil Castagnier and Marta Lualdi, and they aren't nearly as likable. It sets up an interesting premise in that Emil's parents are allegedly killed by Lloyd (who in turn had to face his mother's murder), but it doesn't really go anywhere from there. It also doesn't help that exploration is limited due to a lack of a real world map, and the game on the whole is easier. There are a few new mechanics, though -- the main draw is the ability to capture monsters -- but it isn't nearly as deep a system as the game thinks it is, mostly due to the fact that they feel utterly underpowered compared to the rest of your party. Capturing monsters is also a chore since you have to line up specific elemental Artes and abilities to even get them. The crux of the problem is that the new cast just isn't as interesting to watch (and the old cast that does return doesn't sound or feel the same), and as such, the story isn't as poignant. That's not to say it's bad, but when compared directly to its predecessor, it's tough to not want to go back and just beat Symphonia again. 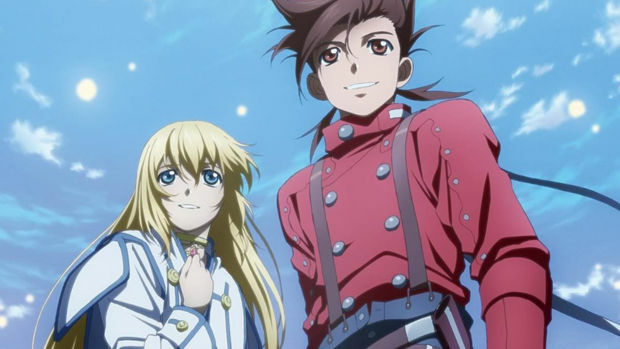 The good news is that if you love Symphonia and want more out of its world, New World sort of delivers on that promise. While only half of the package is truly worth the price of entry, the fact of the matter is Tales of Symphonia is required reading for JRPG fans. If you've been itching to get into another giant quest filled with twists, turns, and a top-notch battle system, this is your chance. For fans of the original, all of the components that made the tale so great the first time around are still here. Think of the sequel as a bonus for those of you who can't get enough.